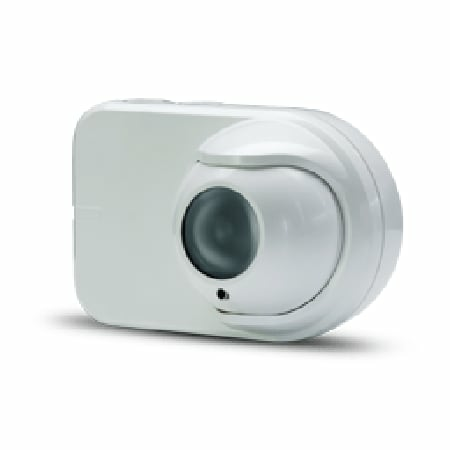 Open-area Smoke Imaging Detection (OSID) is an innovative system for reliable, cost-effective smoke detection for large, open spaces requiring standard sensitivity detection. In its simplest configuration, OSID uses one imager, a camera-like device with a wide field of view, and a wired or battery-powered emitter roughly aligned on the opposite wall within the protected area. The emitter sends both infrared and ultraviolet coded light signals to the imager. If the light reception is altered due to the presence of genuine smoke particles, the imager will go into alarm.